I really think I’m being very patient here. See this beak? This can crack more than sunflower seeds, you know. I’m not going to be patient much longer. Okay. I’m going to count to three. One. I mean it. You’d better get a move on. GET THAT SUNFLOWER SEED OUT HERE RIGHT NOW! 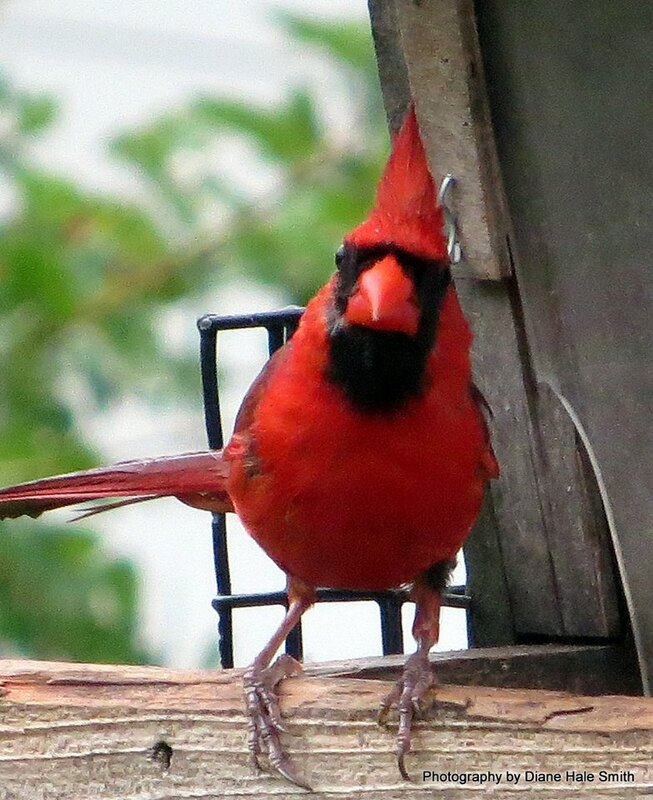 Thanks to Diane Hale Smith for braving the Angry Cardinal to take this wonderful picture!